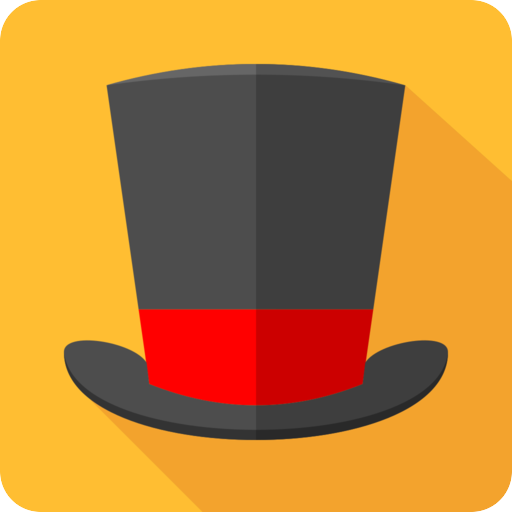 A simple physics game where you throw a bouncing ball into the magic hat. 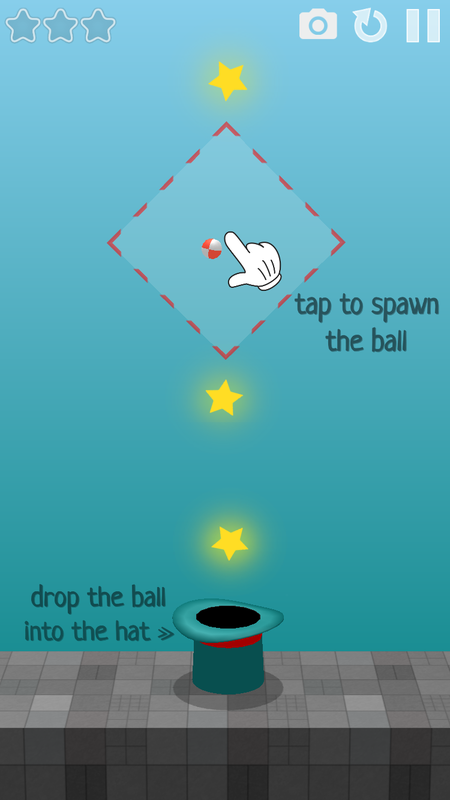 You throw the ball by pulling your finger within the red-dotted area and then letting go. 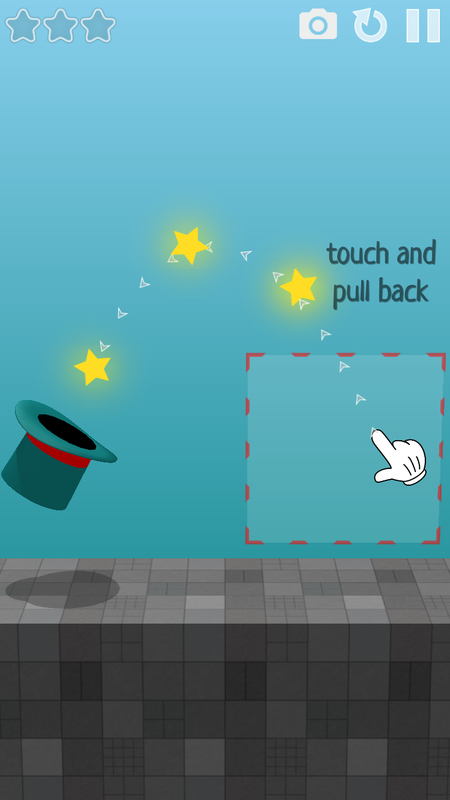 The flying ball spins and bounces off the walls and obstacles and collects the stars on the way. 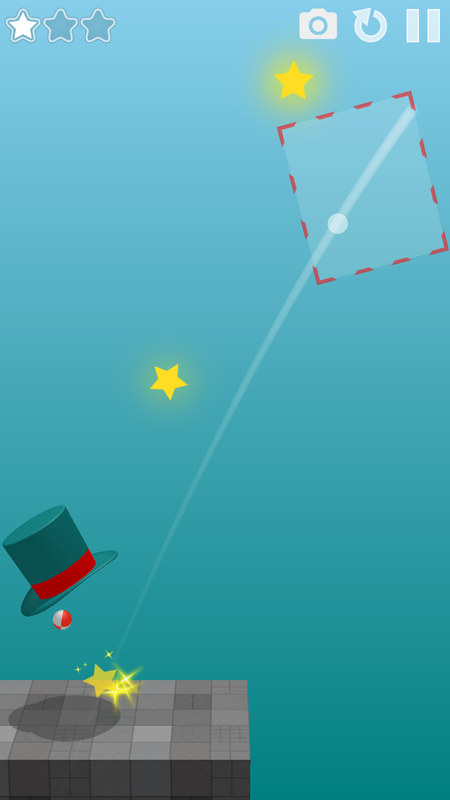 Perfect your shot by looking at the last trajectory and try to collect all the stars. 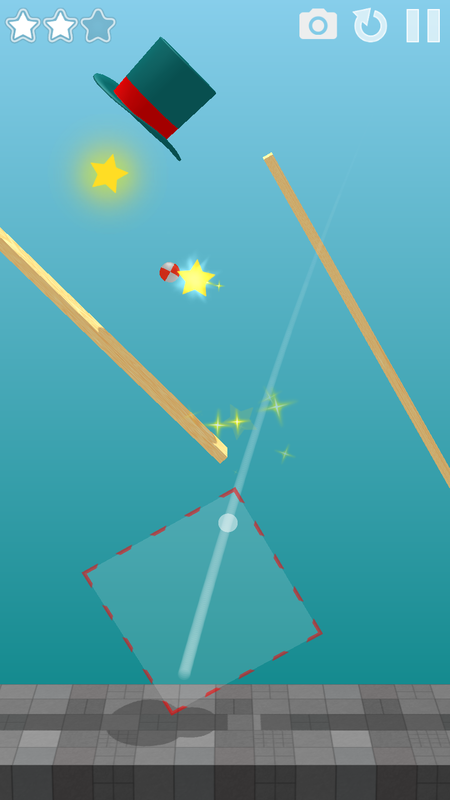 Get extra points for long trajectories. 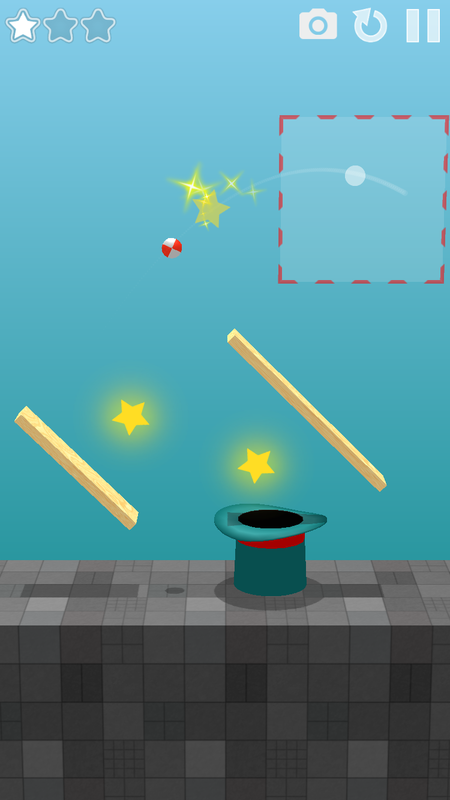 Each level presents a new challenge by adding new obstacles, such as a flying hat, moving platforms, narrow pathways, more barriers. 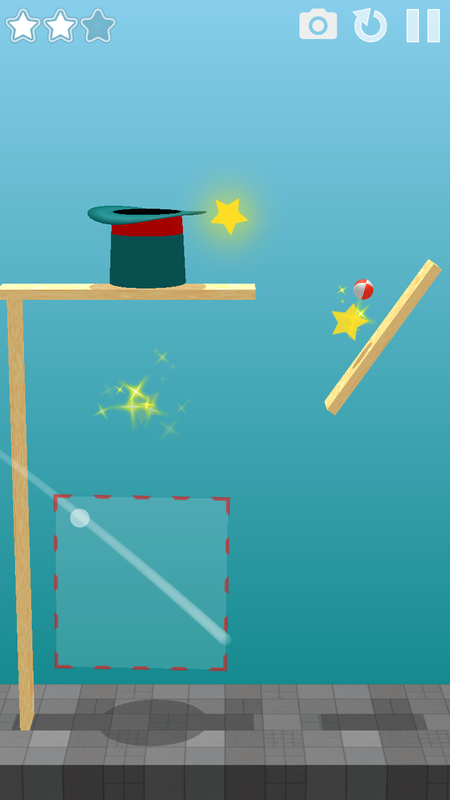 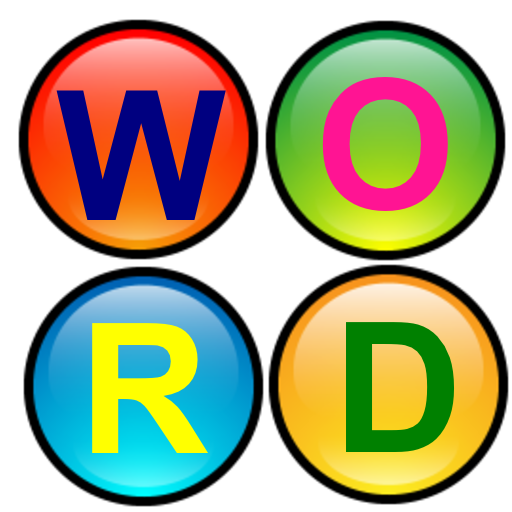 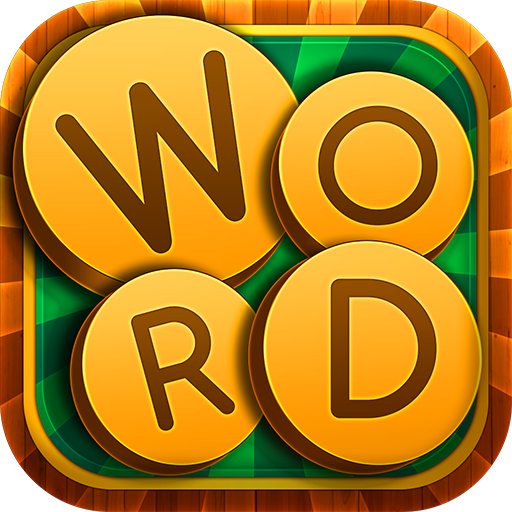 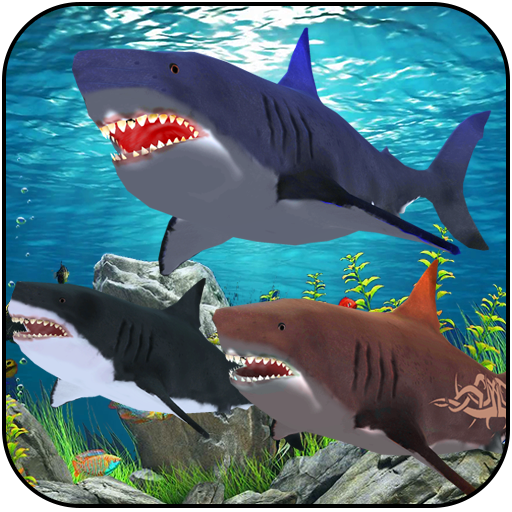 Solve the series of puzzles and demonstrate your accuracy and logic in this challenging physics-based game.